Did you know that GERD can be a silent contributor to Chronic Cough? While there are often classic symptoms associated with GERD, sometimes GERD is silent and there are no telltale symptoms. That is why it is important to see a Cough Doctor who carefully reviews your medical history with you and looks for clues. Questions about diet, reclining or lying down position, time of day, and cough while or after eating may offer you and the Cough Doctor clues about the role of GERD in Chronic Cough. Dr. Mandel Sher, Medical Director and Founder of Center for Cough, is a Cough Doctor. Dr. Sher offers patients a comprehensive diagnostic and cough treatment approach. 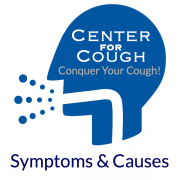 Over 8 out of 10 Center for Cough patients demonstrate a remarkable reduction in the frequency and intensity of cough. When Chronic Cough is normalized, patients report an overall improvement in daily living activities. Professional performance, energy level, social engagement, and personal relationships improve when cough is normalized. Persistent cough that won’t go away should not be ignored. Sometimes, cough is an indication of an underlying and serious medical problem. Sometimes, Chronic Cough is THE problem! Cough can be triggered by gastro esophogeal reflex disease (GERD) or can be associated, but not triggered, by GERD. GERD triggered or associated coughs sometimes have symptoms of hoarseness, throat clearing, and sore throat, or is asymptomatic in others. Treatment often includes simple and effective dietary changes and Proton Pump Inhibitor (PPI) medications aimed at reducing gastric acid production. Do not guess or make assumptions about the cause of your cough. Do not waste time and money on cough treatments that are not targeted to your type of cough. Contact Dr. Mandel Sher at Center for Cough for a comprehensive cough evaluation and cough treatment plan: 727-393-8067.